Zone Base: It's Beast Morphin Time! The Las Vegas Licensing Expo is currently going on and this is something that always catches my eye. I'm a sucker for licensed good and tie in products. Being the amount of action figures I go over here, that should come as no surprise. This expo is where a lot of the magic that goes into the stuff we buy and watch happens. It's super neat. 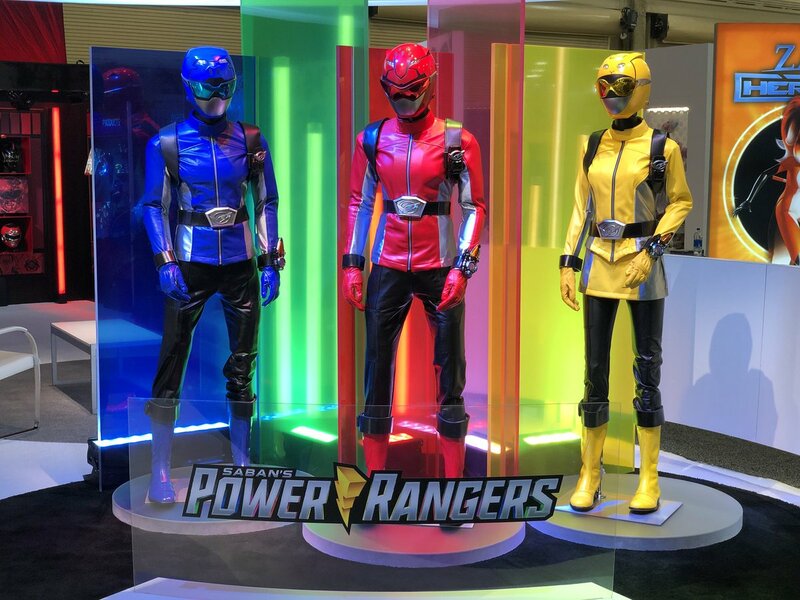 While lots and lots of brands are out on display, of particular note so far to me has been the Power Rangers Beast Morphers display featuring a trailer of the show. The trailer is a cobbled together bunch of action scenes from Go-Busters! (the source material for Beast Morphers) set to music (which the video has no audio as it's probably just some current popular songs and being hosted on YouTube the poster obviously doesn't want to get flagged) to sell the idea next to some displays featuring the Rangers and logo with some descriptions of the series. What I find morphenominal is how the overall vibe of the series is presented here. It's not too far removed from Go-Busters!, so here's hoping the PR version will stay pretty close. It's just plain slick and I think in today's world of everything having a forced gritty vibe (as edgy as a 14 year old in an ICP t-shirt), slick sci fi with bright colors is a most welcome change of pace.